The politician-turned editor of the Evening Standard, who has been a vocal critic of Theresa May - who sacked him from the Cabinet in 2016 - also attacked the Prime Minister's handling of negotiations. He accused her of following a "Brexit means Brexit" ideology because she backed Remain at the 2016 referendum, "albeit sotto voce", and therefore "had to prove her Brexit credentials". Read more: What does the immigration white paper mean for post-Brexit migration? He added: "That was essentially a massive mistake by the Conservative administration, which it was punished for at the general election because the Conservative Party decided to embrace the Brexit result in such a way as to essentially dismiss the views of those who voted Remain, treat them as saboteurs or traitors, and run against urban Britain." Mr Osborne, who said he had warned then PM David Cameron against holding the referendum in the first place, also attacked the "reckless decision of hard Brexiteers" to pursue a no-deal Brexit, saying: "I don't think the country voted to mobilise the Army, stockpile medicine, hoard food and go around the world buying every fridge available. "That is not what was offered and that is now what is happening." 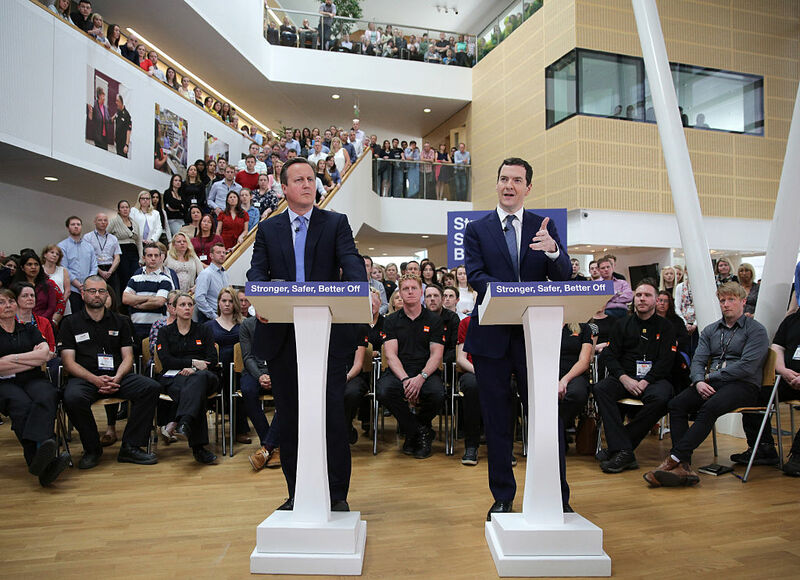 George Osborne with then-Prime Minister David Cameron campaigning for Remain during the EU referendum in 2016. Mr Osborne, who resigned as MP for Tatton after being ousted by Mrs May, told BBC’s Radio 4 Today that if he had remained in politics he would now be having to go along "with a whole load of things which I profoundly disagree with", citing no-deal preparations like readying troops. He said: "Of course I think 'perhaps I should have stayed' and I could have been part of this melee in the Conservative Party at the moment. "I would have essentially tried to steer a) the country away from the rocks to which it is heading at the moment, and b) the Conservative Party away from a prolonged period of opposition, which is where I think it is heading unless it engages more with modern Britain." He praised MPs attempting to stop a no-deal Brexit, saying "the British political system is trying to pull the country back from this cliff edge of the referendum result". He added: "My view is a general election is at the moment an under-reported likelihood for 2019 because in the British system the simplest way to solve political impasses has been to return to the public and a general election."